There are five common road hazards which can increase the chances of a rollover accident. Sometimes a speeding vehicle may turn over once, or several times, and cause severe damage or even the loss of life. A rollover accident can be very traumatic. Although, in most cases, the driver is responsible for such an accident, there are five common road hazards which can increase the chances of a rollover accident. Road signs may fall off due to a storm, or when they are hit by a vehicle. Some parts of the signboards may fall on the road. Otherwise, they may be covered by foliage or obstructed by some branch or object fallen on the road. So the driver may not get the proper indication to drive slowly in that area. They may drive at a high speed over some huge metal object, causing their vehicle to turn over. This is another important reason for rollover accidents. It is very dangerous for a vehicle to drive on a road which has a ravine or a deep ditch on it’s side but no guardrails, as it is very easy for the vehicle to slip into the ditch and rollover. If the guardrails are there but have not been installed properly or are in a bad condition, they can come apart when a vehicle hits them, causing the vehicle to rollover. Small potholes may not pose a problem, but they get enlarged very quickly if they are not repaired in time. The sad part is that the driver may find it difficult to gauge how deep, or how large a pothole is until he is on it. If it is large he may lose control and his vehicle may start rolling. Many times, the work of road construction is taken up and materials are placed along the roads. After the work is complete workers may fail to remove the remaining materials. Sometimes, if the materials are put intentionally, there are no signs to indicate their presence on the roadside. So a driver may unknowingly barge into such materials or machinery. The vehicle may flip over due to the impact and cause serious injury to the occupants. Generally, storms or high winds leave a lot of wreckage on the roads. Branches of trees, and several broken objects may come in the way and obstruct smooth driving. Trash cans may roll out and scatter things on the road. There are regular government employees who take care of the roads and clear them after a storm. However, this is a time consuming task. The situation becomes more risky at night when there is less light. A driver may not perceive the obstructions and ride over them. This may cause a rollover accident. 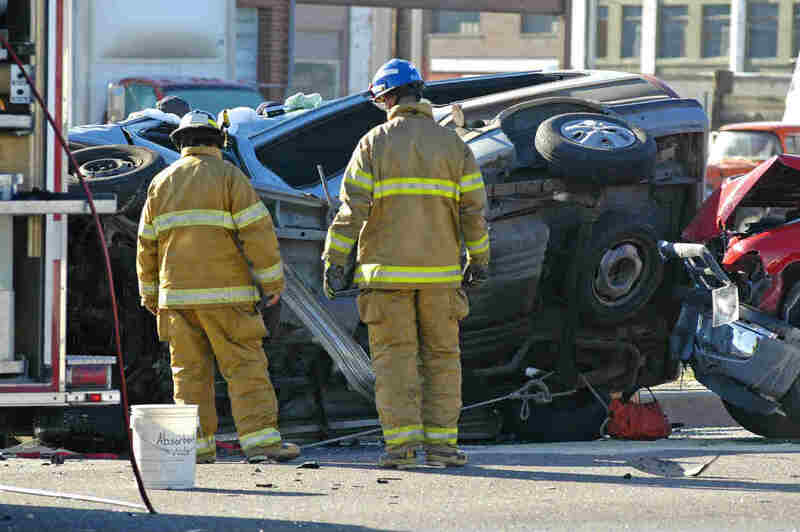 Do not hesitate to seek professional assistance from a St. Louis car accident lawyer if you have been injured in a St. Louis rollover accident. Give us a call 24/7 at (314) 361-4242 for a free case evaluation.